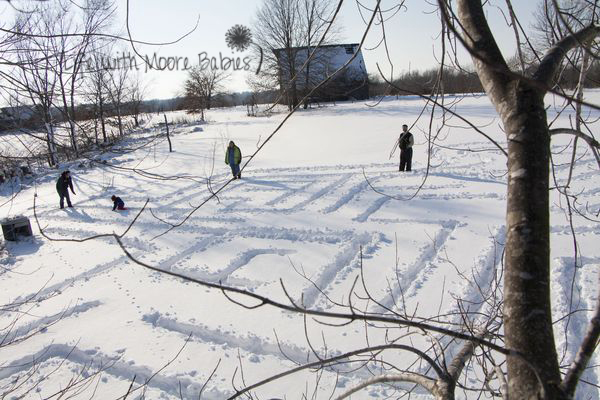 What do you do when you have a ton of snow? 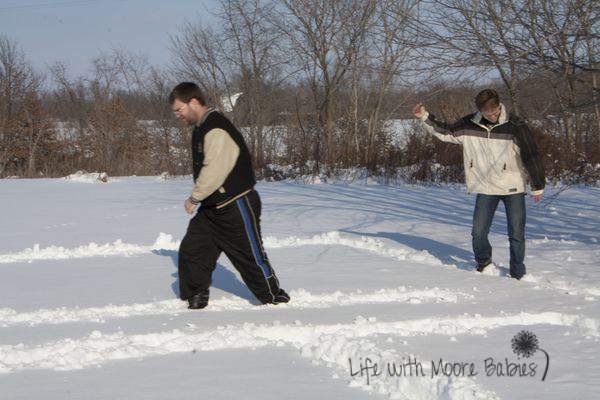 Snowball fight, snowman, snow angels? How about a snow maze? That's right, we have had A LOT of snow around here recently. So much so, that it is up to my knees. I know I'm short, but still...knees! The kids have all enjoyed playing in it, but now looking at our yard, all you see is a MESS. Or if you are me you see a MAZE. 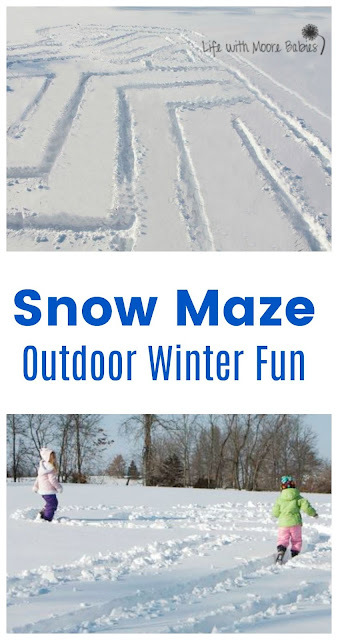 A snow maze just like a corn maze; that would be fun. 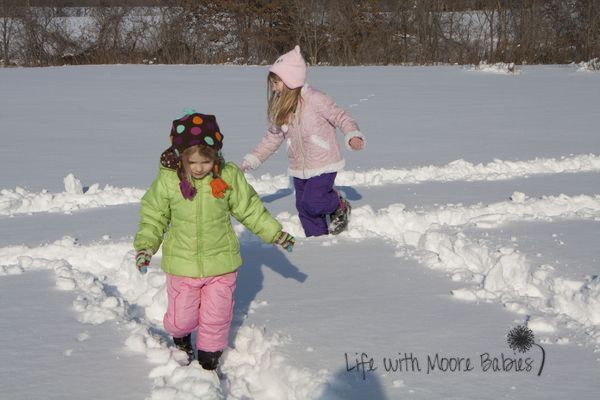 I was actually picturing building huge walls of snow for my kids to run through and get lost in, but was met with opposition from my husband. 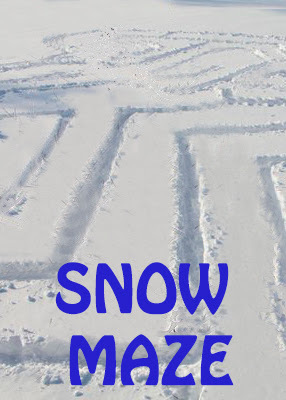 "Our snow is too packed and won't make a good maze," he told me. 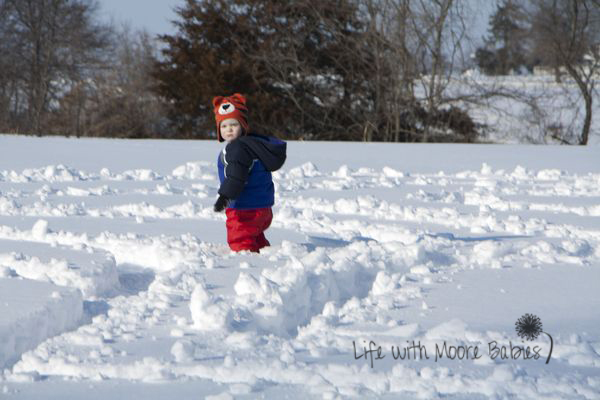 My solution, find new snow, untouched snow, Grandma's snow! 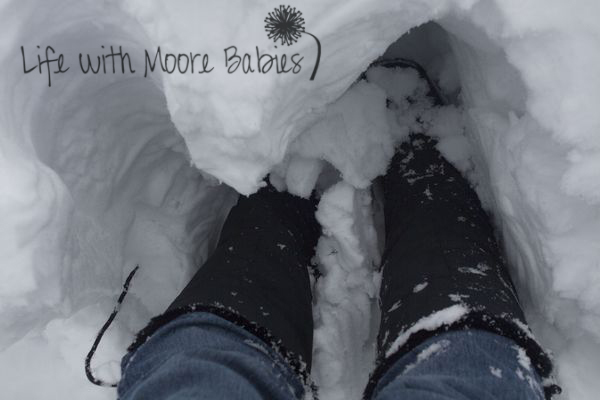 Unfortunately the snow was not as deep there; there would be no way to make high walls on the maze (without tons of work). So my husband started by shoveling a bit out of the path and then went to just packing it down as he walked. Much easier then my plan, but no walls. It took 3 men, but in the end we had a good size maze (bigger then I expected) in a little over an hour. I couldn't even fit the whole thing in one picture! Once they were finished we put two huge icicles at the beginning and let the girls go through. The first time through they had some adult help, but after they were more comfortable, they were willing to go on their own. Even my little guy wanted to try! The first time through he had some help too, but he still made a lot of wrong turns. He also didn't see the point of staying on the path when he could easily make his own. Overall they had a good time trying to find their way through the maze. Even without the big walls, it was still pretty awesome! And it definitely kept the kids busy for a good amount of time. What have you been doing with snow?